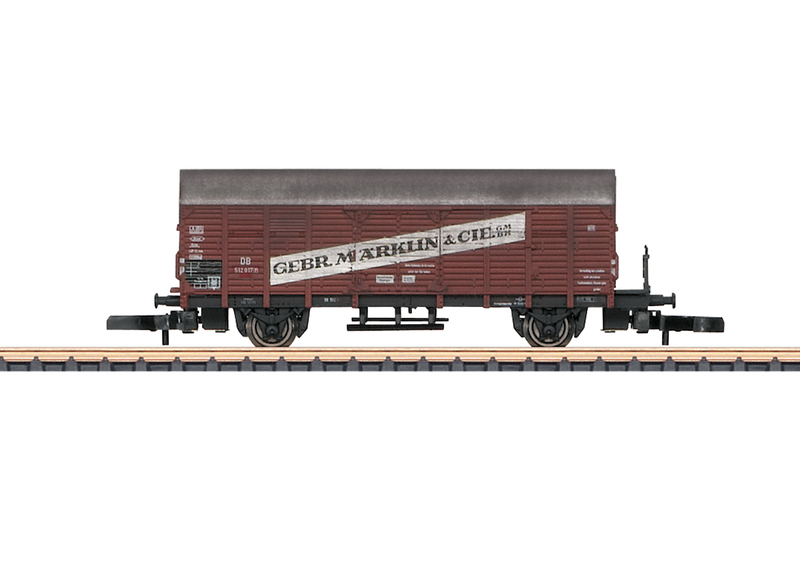 Home Type Gl "Dresden" Boxcar mit the Advertising Lettering "Märklin"
Type Gl "Dresden" Boxcar mit the Advertising Lettering "Märklin"
Prototype: German Federal Railroad (DB) type Gl "Dresden" boxcar as it looked in Era III. Both sides of the car include advertising lettering for the firm "Gebr. Märklin & Cie. GmbH", Göppingen, Germany.